Outstanding. Delivered four days early. Good looking bag at a fair price. Very sturdy construction and I like the individual club holes. I have several things I would improve, but the basic bag is great. Here are the other things I would improve - 1) Front hand hold. Hard to get in and out of the trunk of the car with nothing to grab onto at the bottom in front. 2) Would be nice to have a suggested guide for which clubs go in which holes. Because they are different sizes it does make a difference. I did realize some of my irons were too long thanks to the graduated compartment sizes. 3) I'm not thrilled with the pocket arrangements. If I used the cooler pocket for balls I guess it would all work out. That's it - all in all a nice bag and I have gotten some compliments on it. I am hard on bags because I walk most of the time with the bag on a 4 wheeled pull cart. So we'll see how long it lasts - my usual is about 2 years. Love the way the irons are organized & protected. The slots for the woods & putter are pretty good, but it is a little difficult to get the head cover tails into the slots. 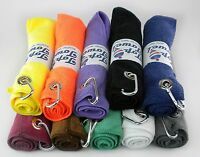 I woulld like to have hooks on both sides of the bag. It would also be nice to have a path for the cart strap that ran behind the front top pocket instead of at the top if it. As it is, the strap sits a little too high due to the necessary height of the bag. This makes the access to the top pocket a bit restricted. This pocket should be a bit larger (deeper) as well. Minor issues that keep the bag from being outstanding, but still a nice bag. Friends that have seen mine say they want to get one. Almost a perfect golf bag! 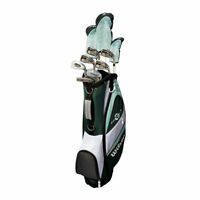 The bag itself is very unique and holds your clubs as advertised, no clanking of irons hitting each other. The only two changes I would make is where the strap from the cart goes through the bag and how the pockets are arranged and labeled. First, the strap sleeve is not level with where the strap is attached to the cart causing it to go up on the bag and then back down to be secured to the cart on the other side. Secondly, the top pocket could be lower on the bag instead of right under where the strap goes through and the zipper should be higher on the pocket so things don't spill out when you unzip it. Lastly, it doesn't need to be labeled as "valuables", that's pretty much giving someone a map to take your most important stuff without looking in all the other pockets first. Other than those small critiques, I am very happy with the product. 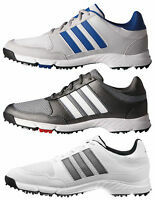 It could use an attached putter tube separate from the other clubs and the fairway woods could be a little larger diameter to accomodate head covers. More rings to hang towel(s) and other essentials would be nice. It is a great bag and with the mentioned items it would be the perfect bag. 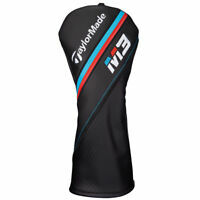 This is the best cart bag I have ever used!!! 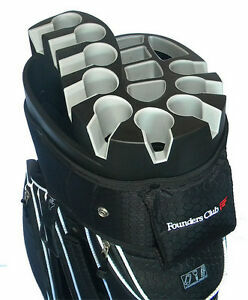 The club placement slots are perfect for club protection and stops all the noise during travel from tee box to greens. This design tops the bag boy with the foam tensioner slots hands down! Not over priced. Highly recommend this product!!!! !